Two youths, a Muslim and a Hindu, get trapped in a religious clash in North India. Can they escape from the situation? 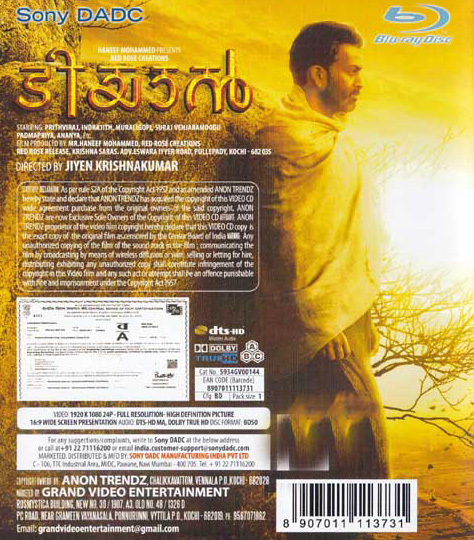 Pattabhiraman, a respected teacher, is forced by a godman to abandon his house for a land mafia. However, Aslan, a fakir, helps him in his struggle against injustice. The lives of a vedic scholar Pattabhiramagiri and his family come under threat after a godman and his goons try to displace him from his centuries-old ancestral home as part of building an ashram. The “curse” that befalls Pattabhiraman in the face of opposition leaves him broken, till a mysterious ally lends him his support. Their fight against the evil forces forms the rest of the plot. Tiyaan is set in a small town in UP where Pattabhiraman Giri lives with his wife and daughter. A Malayalee Brahmin and a Vedic scholar who is well respected by the people in the town, the peaceful existence of Pattabhiraman and the people in the town are affected unfortunately by the entry of Mahashay Bhagawan (Murali Gopy), an extremely powerful godman. Mahashay decides to set up an ashram in that area and hence his henchmen start threatening the people to leave, but Pattabhiraman remains determined to stay put and not move away from there despite undergoing a lot of hardship. The entry of Aslan Muhammad (Prithviraj), who appears as an enigma of sorts, brings in a shroud of mystery to the proceedings. How does the story proceed from thereon, what happens to Pattabhiraman and his defiance of Mahashay, who is Aslan Muhammad etc. are all revealed as the story moves forward.